You'll be £20.00 closer to your next £10.00 credit when you purchase Uncommon Valour. What's this? What is the nature of courage, how and when should it be recognized, and how has our appreciation of it changed? These are among the questions Granville Allen Mawer seeks to answer in this absorbing study of the history of the Victoria Cross, the highest award in the British honours system for gallantry in the presence of the enemy. His is the first analytical account of the institution of the Victoria Cross, and it is a fascinating study of the ethics of rewarding bravery. It explores in dispassionate detail the thinking behind the creation of the award, the reasons why individual awards were given and how, over the last 160 years, the system has developed and changed. 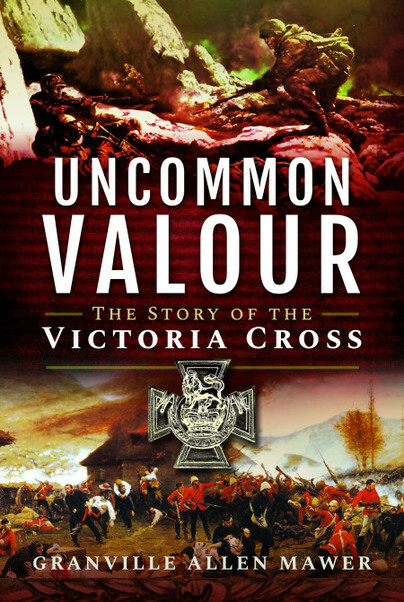 Using vivid and carefully selected examples, he compares individual actions that led to a Victoria Cross and considers the circumstances in which they took place and the reasons given for making the award. So many factors were involved – the character of the individual concerned, the severity of the danger he faced, the situation of the British forces, whether his conduct was seen and recorded, and the interpretation of the criteria for making an award at the time. This unconventional treatment of the Victoria Cross may be controversial, but it should stimulate a deeper understanding of the history of the medal and of the heroism of those to whom it has been awarded. Granville Allen Mawer, a former senior public servant in Australia, is a historian who has specialized in military, maritime and exploration history. His previous publications include Most Perfectly Safe: The Convict Shipwreck Disasters of 1833-42; Ahab’s Trade: The Saga of South Seas Whaling; South by Northwest: The Magnetic Crusade and the Contest for Antarctica; Diary of a Spitfire Pilot; Incognita: The Invention and Discovery of Terra Australis; A Voyage to New Holland and Round the World and South Sea Argonaut: James Colnett and the Enlargement of the Pacific.